Race, ethnicity and gender still wield great influence in nearly all sectors of American life, and the world of business is not excepted. Workforce statistics and surveys of high-level positions in the nation’s largest companies consistently reveal sluggish progress, at best, in efforts to create a business community that reflects the broader world beyond the C-suite club, whose members remain overwhelmingly white and male. Only five current Fortune 500 CEOs are black and only 21 are women, according to Fortune magazine, and other minority groups are no better represented. Causes of these social disparities are many and complex, ranging from self-imposed constraints to passive bias or even unabashed prejudice. 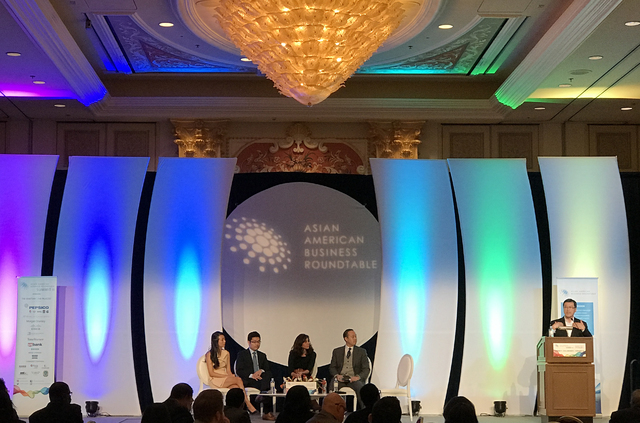 Strategies for all minority businesses and individuals to advance a collective presence in the broader corporate community through partnerships and cooperative initiatives was the focus of the Asian American Business Roundtable, hosted at The Venetian, Jan. 11-13. 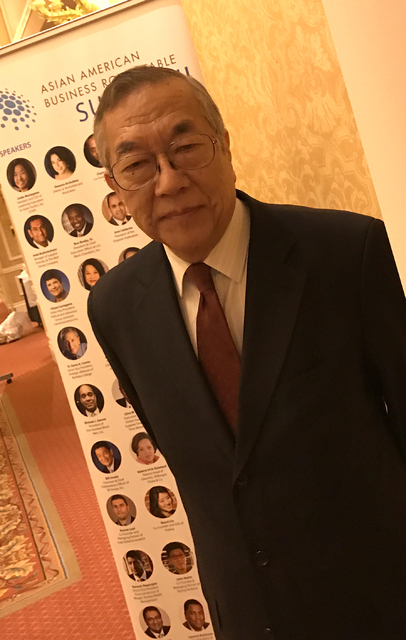 “When we founded the Asian American Business Development Center (in 1994), the idea was to assist Asian-American business in getting to the mainstream marketplace by utilizing public and private sector resources,” said John Wang, founder of the organization that hosts the summit. “To be more competitive and operate in a mainstream marketplace. Wang said the center launched a program in 2001 called 50 Outstanding Asian-American Businesses, which was the genesis of the summit. According to demographic estimates by the U.S. Census Bureau, people designated as white will soon make up less than half of the country’s total population for the first time since European incursion beginning in the late 15th century. In our newest generation, that moment has already arrived. The bureau announced that in 2014 the majority of children younger than 5 in the country were designated as a race/ethnicity other than white for the first time in history. This new majority — a collection of all residents designated as other than white — has the opportunity to obtain increased influence in the nation’s corporate boardrooms, according to Wang. “The new majority, in a way, is an emerging market,” he said. 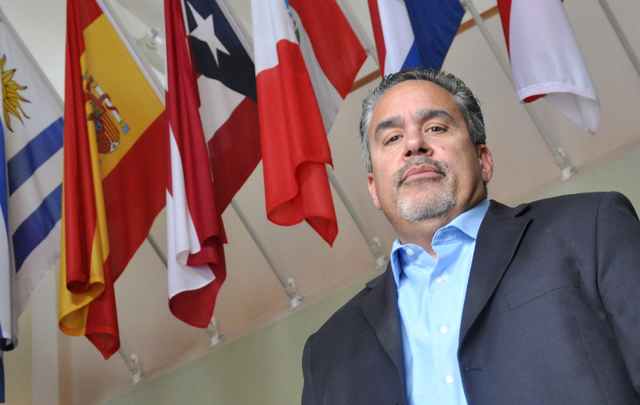 “Many corporations have recognized that Latino, Asian American, and African American communities represent tremendous business opportunities through their collective purchasing power. Life invariably poses challenges — both internal and external — to all human endeavors, and many of these barriers are familiar to us all, independent of gender, ethnicity, innate intelligence and abilities or financial means. 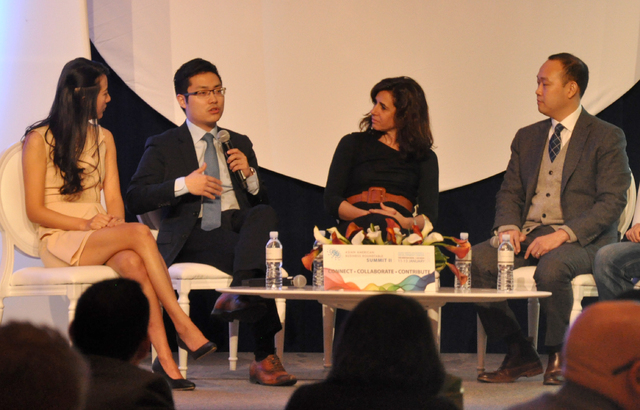 But others tend to be associated with particular cultural experiences, and one that recent immigrant families face — ironically — is an aversion to uncertainty, according to summit panelist Tim Hwang, CEO of the Washington D.C.-based technology company FiscalNote. Hwang said it is inherently difficult to align a tendency toward risk-aversion with aggressive approaches that can lead to entrepreneurial business accomplishments. “I think the more the younger generation can see success, where people have done it before, the more likely they are to take that risk and make it happen,” he said. Liu, 25, is the co-founder and CEO of Los Angeles-based software technology company Enplug, now the top platform to manage digital displays inside of businesses. Her projects at the University of California, Berkeley included building Arduino computer chips that allowed campus lamps to turn off and on based on light settings and starting a biotech company that develops polymers to eliminate the need for vaccine refrigeration. Liu was raised by extended family members in China’s rural Jiangxi province before emigrating at the age of 5 to be reunited with her parents, who were graduate students in the U.S.
“We lived in subsidized housing, we had nothing,” she recalled. “So for me, the worst that could happen (by taking a business risk) is (that) I could lose it all and sleep on a friend’s couch. And that’s not too bad. Hwang says he believes a common scenario is for new immigrants to become cautious and to instill that sense of caution in their children. “Ironically, the folks that came to America are the ones that are most risk-averse, because they are fleeing political persecution or whatever the case may be,” he said. When President Barack Obama delivered his farewell speech in Chicago Jan. 10, he addressed the issue that will forever be entwined with his legacy — race. The nation’s racial divide seems predicated in part, on vastly differently perceptions about the role race and gender play in shaping our professional lives. A 2016 Pew Research Foundation poll revealed that 22 percent of white Americans believe minorities are treated less fairly than their own ethnic group in the workplace, as opposed to 64 percent of black Americans who perceive an inequity of treatment. “I think America is in a place now where there is certainly much less explicit bias in the streets — overall most people have some level of political correctness and decency,” Hwang said. “But what that leads is a much more malignant form of racial bias. This difference of perception extends to issues of gender, as well. Eighty-four percent of women feel they earn less than men doing comparable work, according to a 2013 NBC News/Wall Street Journal poll, and 65 percent of men agree. Nearly half of women surveyed in the poll report that they have experienced discrimination in the workplace. Liu said she understands that when meeting a prospective investor, she faces challenges due to her gender that are not shared by male colleagues. She says she tries to help create an easier environment for the emerging generation and teammates who come from multicultural backgrounds. “I put a lot of pressure on myself — because of where I am — that I need to keep pushing, keep opening doors for my fellow female entrepreneurs and executives,” she said. “I need to make sure I am a role model for my teammates and other young Asian Americans. That means a lot to me, but it’s hard. A financially challenged childhood did not hold back Liu, but summit panelist Chieh Huang points to a similar experience as part of his road to success. “For me, factors largely drawn upon (were) — not racial factors — but poor and rich factors,” recalled the co-founder and CEO of Boxed Wholesale, a New York-based fulfillment company that ships wholesale purchases to homes and businesses. The company opened a North Las Vegas fulfillment center in 2013. “I grew up very poor, early on,” he said. “If I needed to solve a problem, if I needed to get better at school, I could not get a tutor and had to figure it out myself. As this AABR summit — the second in successive years — drew to a close, the 300 attendees dispersed to enjoy the remainder of a Las Vegas weekend or board flights to homes and business based throughout the country. Wang said he believes this event, and others like it that invite discussion and collaboration, are fundamental to the progress of minorities in the corporate world. He stressed that he thinks it is important for corporations to have not only diversity programs but to hire and promote people who represent emerging markets to help develop the corporate strategies and the marketing efforts to reach those markets.